When I heard Friday night’s news of Tommy Ramone’s passing I experienced what most Ramones fans probably experienced: a mix of sadness and disbelief. There was sadness for Tommy, his family, friends, and fans, and there was disbelief that all four founding Ramones could possibly be dead. After a few minutes of sitting with the unanswerable hows and whys I remembered a story record producer Scott Solter once told me. On December 1, 1978, Scott and his brother went to see Black Sabbath on their Never Say Die tour at the Swing Auditorium in San Bernardino, California. Van Halen, whose debut album was tearing up the charts, had been opening much of the tour but were not on the bill in San Bernardino. That night, the job of warming up thousands of stoned, Ozzy-devoted headbangers fell to four leather jacketed minimalist rockers from Forrest Hills, Queens: the Ramones. He was right. Though they never sold massive amounts of records (their eponymous 1976 debut LP was certified gold just last month) or headlined stadiums (except in South America, where they were revered as gods), the Ramones changed the course of rock’n’roll and influenced popular culture in a way only a handful of artists have. And it probably would never have happened without drummer Tommy Ramone. 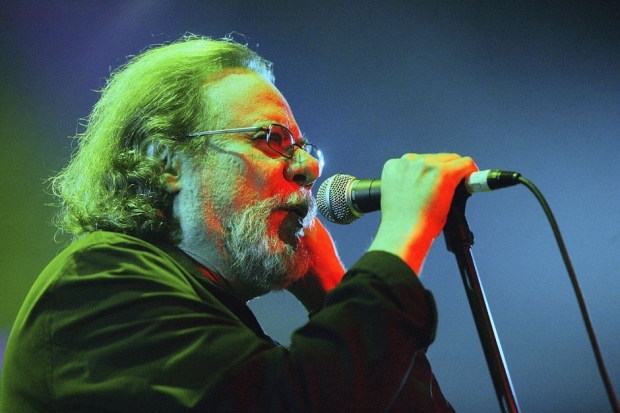 Born Tamas Erdelyi in Budapest, Hungary, but raised in Queens, Tommy was already a seasoned guitarist and recording engineer (he assisted on Jimi Hendrix’s Band of Gypsys album) when the seeds for the Ramones were planted in 1974. Impressed by the energy of the New York Dolls, Erdelyi recruited three former Forest Hills High School classmates to form a band. John Cummings would be the guitarist, Jeffrey Hyman would play drums, and Douglas Colvin would play bass and sing. Originally only intending to be the band’s advisor, Erdelyi found himself assuming the drum chair when Hyman moved to lead singer and no “professional” drummers could provide the right feel for the simplistic, buzz-saw pop the band was writing. Erdelyi’s total lack of percussive experience (he’d never actually played the drums before) was a huge plus: He carried none of the baggage a more proficient drummer would bring. His primitive, bare-bones thump gelled perfectly with his bandmates’ lack of musical expertise. The newly-christened Ramones (Cummings became Johnny Ramone, Hyman became Joey, Colvin was Dee Dee and Erdelyi, yeah, you get it) began rehearsing in earnest and were soon churning out future classics like “Judy Is A Punk,” “Beat on the Brat,” “Today Your Love, Tomorrow The World, “I Don’t Wanna Walk Around With You ” and “Blitzkrieg Bop.” The anthemic “Blitzkrieg” — probably the Ramones best-known song — was written almost solely by Tommy. As a budding teenage drummer, those songs were a big part of my musical education. I’d come home from school, put on my headphones and see how long I could play along with Tommy on It’s Alive before my wrists would freeze up. I’m sure it was a similar story for countless aspiring guitarists, bassists, and drummers the world over. These were great, catchy songs that someone with limited ability could actually play. This morning I drummed along with the Ramones’ third LP, Rocket To Russia, and was amazed to discover that there’s not a single drum roll until a full 13 songs in. This is restraint of the highest order and it shows why Tommy was so enormously influential: He was an absolute master of the “less is more” school of drumming. He demonstrated, perhaps better than anyone before or since, that a drummer’s main job is to provide a solid foundation and to serve the song. Looking back at the early Ramones it would be logical to assume that Tommy took a backseat to the outsized personalities of his three bandmates. In reality he was the main spokesman for the Ramones and did the bulk of the interviews during his five years in the band. “Tommy thought it was very important that the band come off as intelligent,” Johnny says in the 2003 Ramones documentary End of the Century. It was Tommy who drafted the band’s first and highly entertaining press release. When the Ramones entered the studio with new drummer Marky Ramone (Marc Bell, previously of Dust, Richard Hell & the Voidoids, and Wayne County and the Backstreet Boys), Tommy was once again co-producing, this time with Ed Stasium. The result was Road to Ruin, arguably the Ramones’ best-sounding album, and thanks to Joey’s ultra-commercial song “I Wanna Be Sedated,” their best shot at mainstream success. Road to Ruin didn’t even crack Billboard magazine’s Top 100. The 1980s saw Tommy become an in-demand record producer. After re-teaming with Stasium for the Ramones’ mighty 1984 comeback album, Too Tough To Die, Tommy produced two of the decade’s classic alternative rock albums: Redd Kross’ Neurotica and the Replacements’ Tim. A debate has endured among Replacements aficionados regarding whether Tommy or Replacements singer/guitarist Paul Westerberg played the Chuck Berry-esque guitar solo on Tim’s “Kiss Me On The Bus.” Both parties have claimed ownership of the solo. Tommy seemed to keep his distance from the 1990s punk rock resurgence as bands like Green Day, the Offspring, and Rancid went platinum with records that owed more than a passing debt to the Ramones. In the 2000s, he devoted his creative energy to Uncle Monk, an acoustic bluegrass duo whose sound could not have been further removed from the sonic assault of the Ramones. 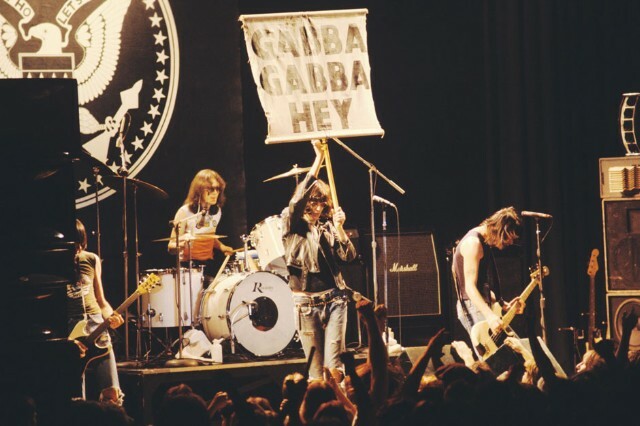 Following the deaths of Joey (2001), Dee Dee (2002), and Johnny (2004), the Ramones began achieving a level of fame and cultural acceptance the band never attained while active. Their music started popping up in commercials, movies, and sitcoms, while photos of celebrities wearing t-shirts bearing Arturo Vega’s iconic Ramones eagle logo became a common sight. In the years before his own passing, Tommy became the keeper of the Ramones’ flame, doing interviews and making personal appearances in an effort to keep the band’s story alive. It was at one of these personal appearances, a 2012 NYC screening of End of the Century, where I met Tommy Ramone. He was standing by himself in the lobby, gearing up for another Q&A with a theater full of Ramones fanatics. He looked a little frail and I was reluctant to bother him, but I had a feeling this might be the only chance I’d have to speak to the man whose music had such an impact on so many of us. I told him what a fan I was and how much the Ramones meant to me. He’d no doubt heard it a million times before, but he was very gracious. He didn’t say a whole lot. He didn’t need to. Talking to Tommy was kind of like talking to an old soldier. An old soldier who knew he’d been on a very special, very intense, and very important mission. Before he turned to speak to the next well-wisher I asked him if he did in fact play that “Kiss Me on the Bus” solo. “Yes,” he said. “Yes, I did.” Hey ho, that’s good enough for me. Jon Wurster (@jonwurster) plays drums for Superchunk, the Mountain Goats, and the Bob Mould band. He is one-half of the comedy duo Scharpling & Wurster. The Ramones Will Get Their Own Street in Queens, N.Y.